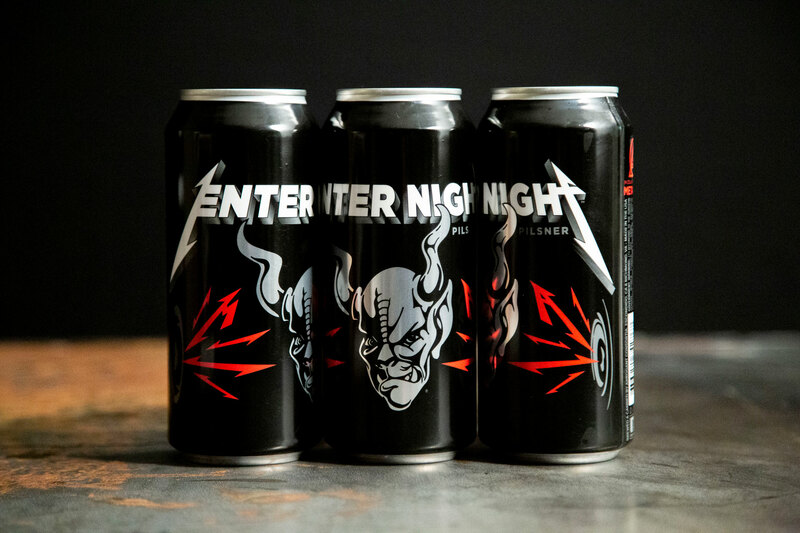 It’s certainly been no secret, but we are beyond excited to make the official announcement and introduction to Enter Night Pilsner, our collaboration with Arrogant Consortia, a Stone Brewing imprint. If you’ve been to one of our recent arena shows, you may have sipped from the black and red cans or even picked up a few in the surrounding neighborhoods. Now we’re expanding nationwide, and come spring, taking it international covering Europe, Australia, China and beyond! Stone Brewing is the perfect partner for us with endless commonalities in our ideals, outlooks, and paths forward. Our views of the worlds that we each inhabit, of creativity and process, and of sense of place in relation to our peers and “The Man” are almost identical. This collaboration is beyond effortless and pure, and we can’t wait to share this incredible beverage with everyone out there. In conjunction with the leadership of Stone, we have participated throughout every step alongside their talented brewing team. From our HQ outside of San Francisco to Stone’s brewery and HQ in San Diego to many beers backstage at shows, the spirit of collaboration was powerful. Keep watching for Enter Night Pilsner at our shows as we fire up the tour again later this week and check out the Arrogant Consortia beer finder to locate Enter Night near you. Don’t see it in your neighborhood yet? Check back…our friends at Stone are putting those Enter Night cans and kegs in new locations all the time!